We have spent decades getting to know this place with its wonderful ebbs and flows of the earth, the temperatures and seasons. Using permaculture and biodynamic techniques, Cricket’s Cove is able to benefit from the plentiful annual rainfall that flows freely into our stock catchment ponds or winds its way through our permanent garden beds, where it’s stored in the soil for another day's need. The beauty of unending possibilities that Gaia lays out for us, is wondrous to me. We are constantly exploring, experimenting and honing our work. What a magical journey. I was surprised by the lack of good food in this agricultural area (Roundup weedkiller is the norm between seasonal crops) and my kitchen garden began to expand. I am an avid reader and student and eventually signed up with Oregon State University to take their Permaculture Design Certification course with Andrew Millison, a force within Permaculture (Permanent Agriculture). Afterwards, I continued on to earn my Advanced Permaculture Practicum and began implementing sustainability. I continued studying different practices from all over the world and throughout history; none of them was common on the east coast or even in the Mid-Atlantic — hence our constant experimentation of old global practices and their application and usefulness. I joined the staff on Permies.com, the world's largest sustainable/permaculture forum, wrote a bit and policed a bunch. 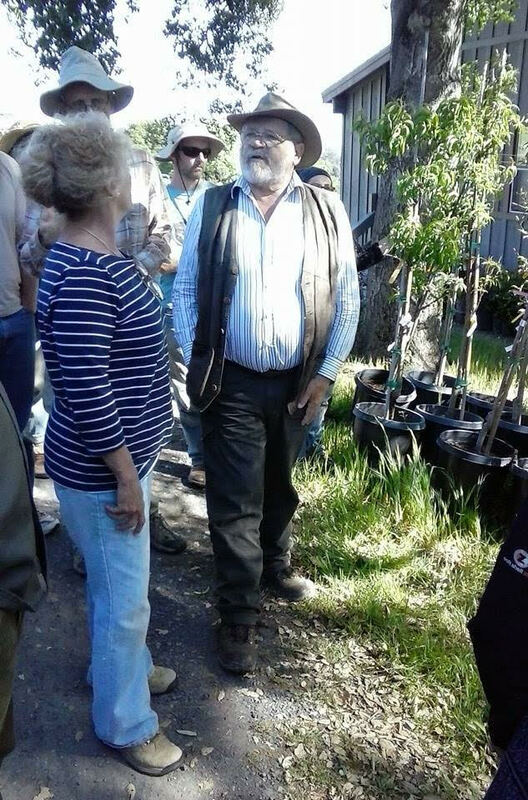 I was invited to join Advanced Permaculture Practitioners in California with Sepp Holzer (a world-renowned permaculture force) and left knowing that I have a responsibility to share what we’re doing. People need to consider the plentiful healthy alternatives to the all too common, toxic industrial farming/growing practice's and their effects on our soil, water and health. Seeing is believing, so opening up our farm, sharing our knowledge and our rediscovery of techniques that have literally sustained mankind for millennia is critically important to us.